Cisco needed a bigger presence within top direct resellers like CDW to help with selling a broader range of Cisco services within the SMB market all the way up to top enterprise accounts. 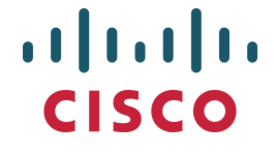 They were seeking a partner to deliver sales and technical expertise to end-users, while seamlessly mirroring Cisco's culture. Download this case study to find out more about the impact and revenue increase MarketStar has helped obtain for Cisco.